Like Mullen’s work, Callum Innes‘ works in Tate Britain‘s Watercolour exhibition are based around monochromatic quadrilateral layers of paint. On closer inspection the works seem to be made out of three squares of solid, transparent colour, in a wash of watercolour, each just slightly offset from the centre, demonstrating the way the colours have mixed like in Susan Hiller’s Magic Lantern (1987) previously discussed in the article Curated to Confuse. These are some of the most interesting modern pieces in the exhibition, which doesn’t quite live up to the enthusiasm of Andrew Graham-Dixon‘s review of it on the BBC’s The Culture Show. The exhibition successfully highlights the value of watercolour as a medium for illustration in the nineteenth century, but the contemporary works Graham-Dixon talked about are very few and are somewhat hidden in the last two rooms. The first of these rooms is considerably focused around the Tate’s archive collection of commercial paint sets from throughout the last two centuries, which demonstrate the medium has scarcely changed whilst its use probably has, but it seems this collection would be more valuable to painting conservators doing research than to most exhibition visitors. Andy Goldsworthy. Source of the Scaur, 1991- 92. Watercolour. © Andy Goldsworthy. Victoria and Albert Museum, London. © V&A Images/ Andy Goldsworthy. Andy Goldsworthy’s work in the Watercolour exhibition, Source of the Scaur (1991-2) uses found natural materials in an exploratory manner highlighting the ancient traditions of collecting pigments and reflects the flow of the river around which he works. 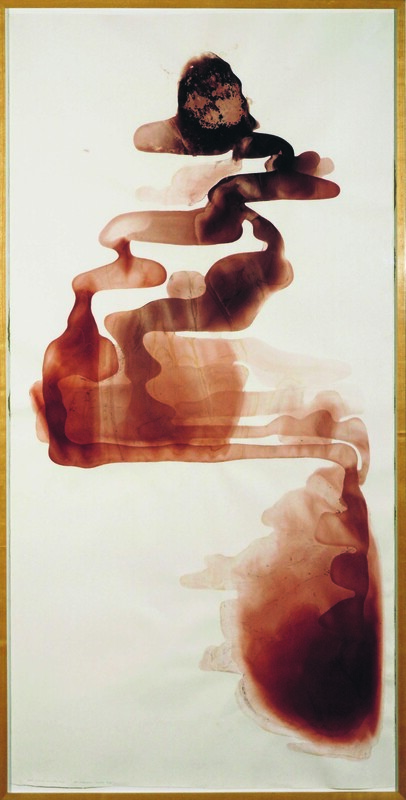 However, whilst this work deserves its place in this article through its minimal chromaticism and conceptual use of material, the finished piece feels somewhat accidental in the way the reddish-brown liquid has flowed naturally down the large sheet of paper. These few contemporary works, including a further one by Anish Kapoor, don’t seem to offer a great deal of inspiration to encourage contemporary artists to use watercolour in their work, they simply aren’t the highlight of these artists’ practices, and instead show the medium as being more for small experiments like the small JMW Turner sketches hung in this last room and more affordable works on paper equivalent to prints. Jaeyeon Lee‘s paintings in the Slade MA show take the extraction of paint from canvas into even more sculptural territory than Mullen, with paint filling the void between two canvases placed face to face a short distance apart and oozing through its linen surface. A tiny speck of white that looked like plaster revealed beneath the outer paint seemed to let the work down, ruining the illusion that the work is a solid mass of paint taking over the artist’s studio like something from a horror film. Furthermore if it were all oil paint you could imagine the stench as the paint takes months to slowly dry throughout, if it ever does, whilst acrylic applied in a large quantity will still take a long time to dry. Titled Being for the self this work is also an abstract self portrait in that it is a painting made to the dimensions of the artist’s body (height, depth and width, and of a similar weight). Apparently the work is in fact entirely acrylic (apart from the canvases and stretchers) and if you were to cut through the sculpture you would find multiple coloured bodily tissues and any liquid paint would be the blood flowing around the body. Hence the work could be a made to measure coffin for the artist in which we could imagine she might be sealed and possibly preserved inside the layers of acrylic. A further work in Jaeyeon Lee’s exhibition, My Bones, strips bare the stretcher behind most works on canvas. However in place of wood it has been cast in sections resembling bones from Eucalyptus paper fibre, suggesting this to be the skeleton of an artwork or perhaps even suggesting the death of art itself. Whilst being made of paper the work is far more fragile than bone or a wooden stretcher should be, but this is again also an autobiographical work reflecting upon the artist’s childhood illness, breaking her bone many times. 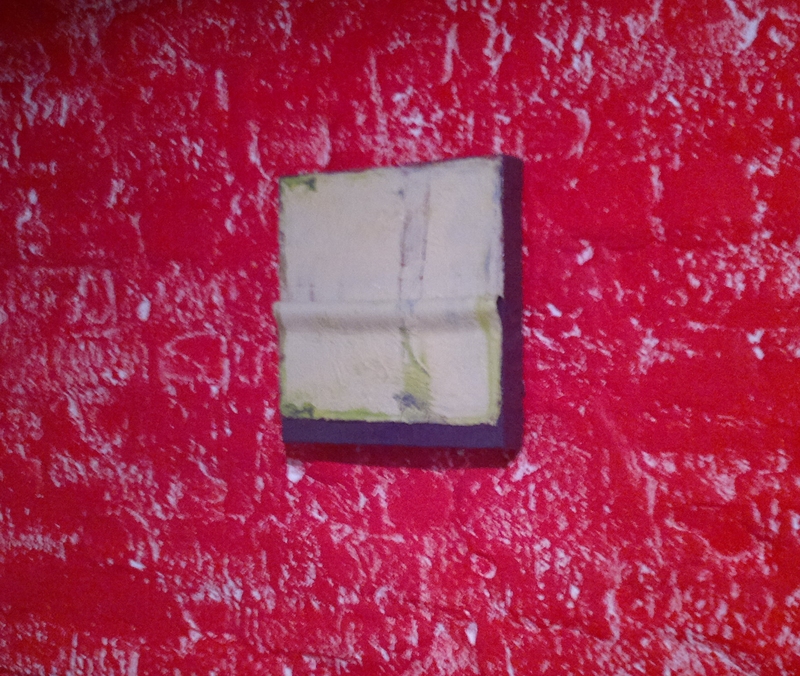 Meanwhile Rudolf Reiber‘s A Whiter Shade of Pale at the Slade looks at a different framing structure of art. At first glance it appears to be a white gallery space that hasn’t been filled but on a second glance some labels stand out which indicate the walls have each been painted in the favoured white paint of some of the world’s renowned museum galleries. In essence this is a very bland piece conceptually, but its subtlety underlies the work, whereby when fully entering the room and becoming absorbed by the work, as the viewer is absorbed by the institutions from which the paint choices arise or indeed by the institution this work is in, you discover the phenomenon of the subtle differences of shade. Hence the work proves that white isn’t necessary white (though you only need to see a paint chart to know that), in the sense that a photograph may not necessarily tell the absolute truth about its subject, and Reiber applies this reading to these art institutions. Even if you were to analyse the RGB or CMYK content of the finish, the paints appear even more different according to the quality and tone of light landing on each wall, meaning that the work has to be experienced in the space it was made for. Collected together these works show critical interest in redefining the boundaries of painting, its materials and framing concepts. 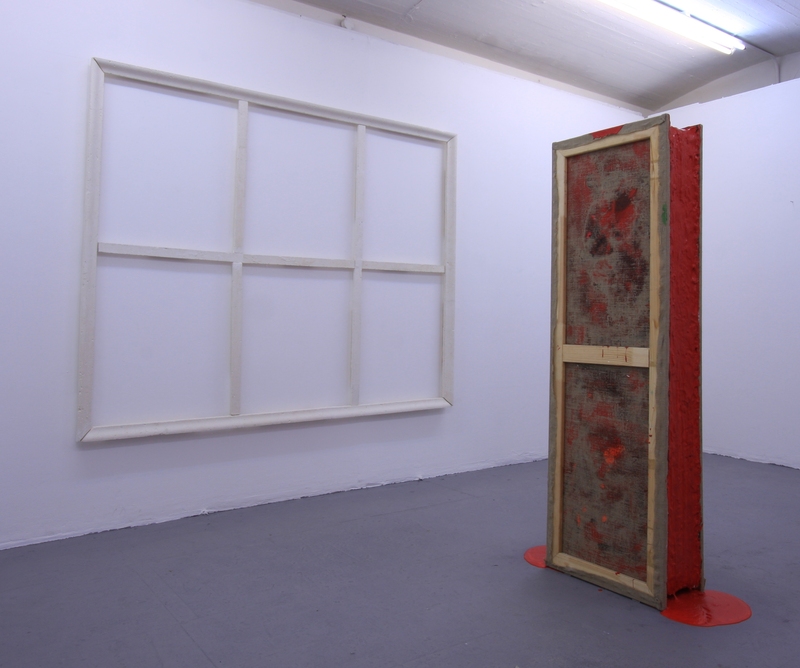 The Pleasure Principle is at Tank Gallery, Rear of Ladywell Tavern, 80 Ladywell Road, SE13 7HS until 2nd July 2011. The Slade School of Fine Art MA show is at UCL, Gower Street, WC1E 6BT until 22nd June. Watercolour is at Tate Britain, Millbank SW1P 4RG until 21st August.